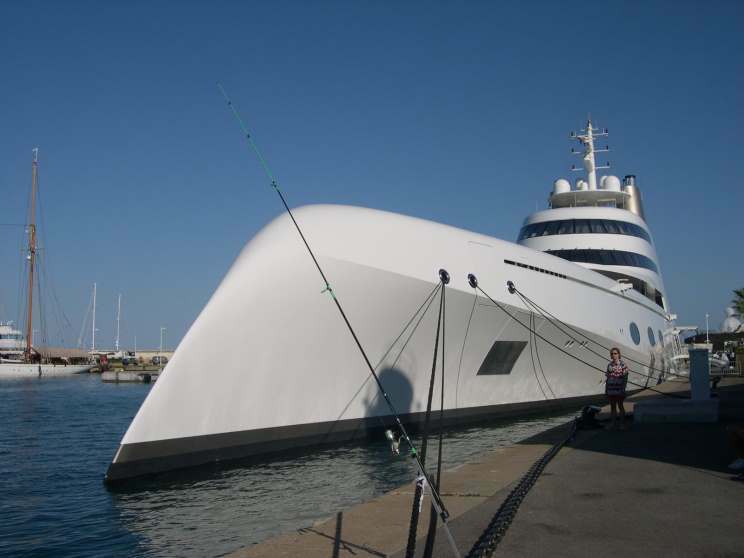 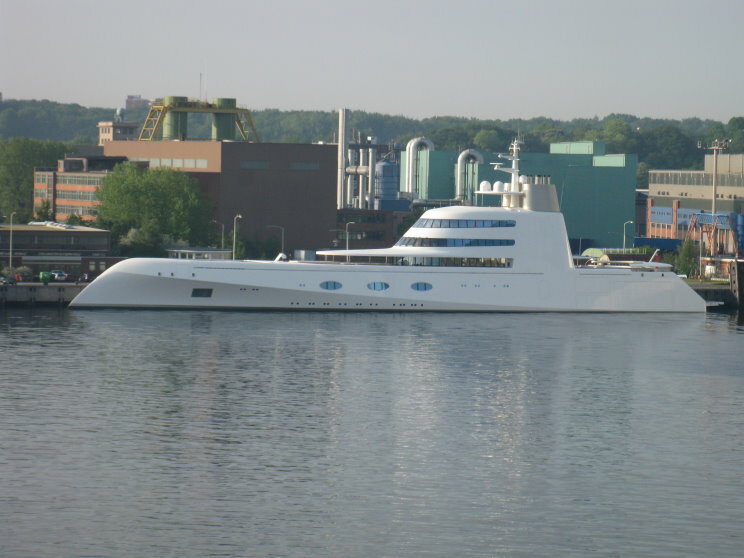 May 19, 2009: Motor yacht A seen at Kiel, Germany. 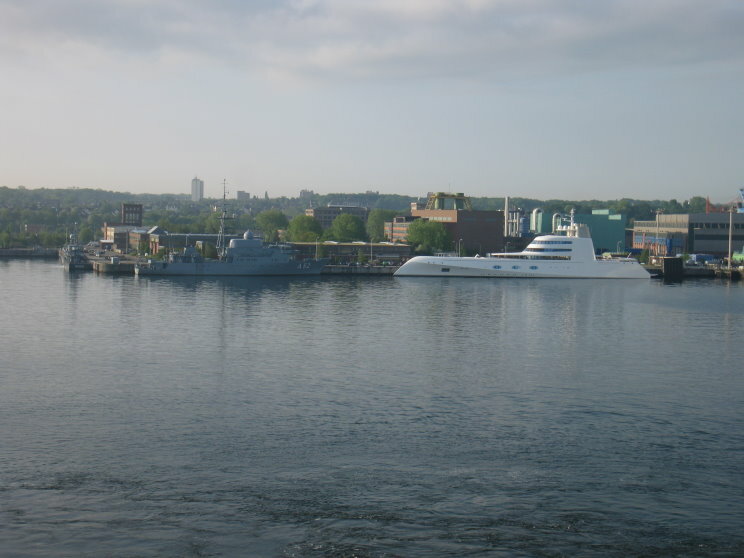 May 19, 2009: The motor yacht A, the German intelligence collection ship Oste A-52 and the German minehunter Kulmback M-1091 seen at Kiel, Germany. 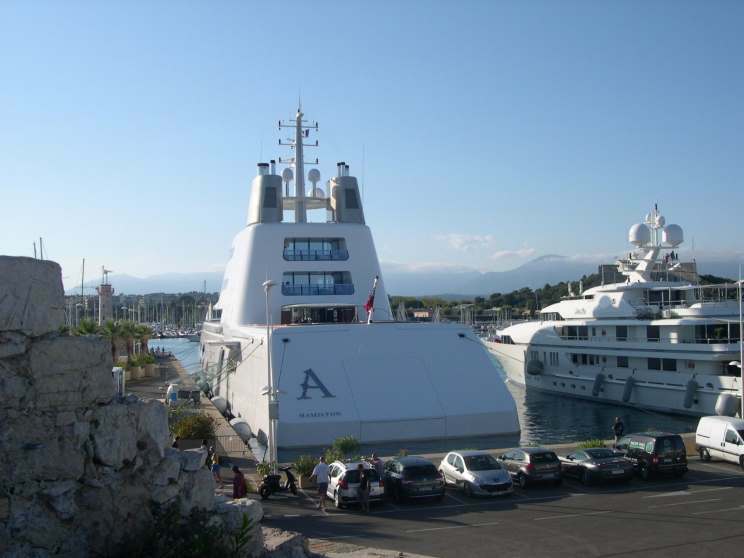 August, 30, 2011: A seen at Antibes, Provence-Alpes-Côte d'Azur, France.